It’s been six months since Eufaula City Schools of Alabama deployed an Extreme Networks solution at their state-of-the-art indoor athletic facility and high school classrooms. Since then, they have upgraded Admiral Moorer Middle School and plan to refresh the entire district within six months. Needless to say, Eufaula IT Director Todd Watkins and his department have a lot of work to do these next few months. Last year, the district was focused on opening the athletic facility and ensuring everything was operational. According to Watkins, “Coach Moore is leveraging the technology to a level I wouldn’t have even expected. No other high school is applying technology on the field like Eufaula. This wouldn’t be possible without our reliable Extreme solution.” The reliable network allows Athletic Director Moore and his coaching team to gamify workouts, get rid of paper and clipboards, and focus on athletes. 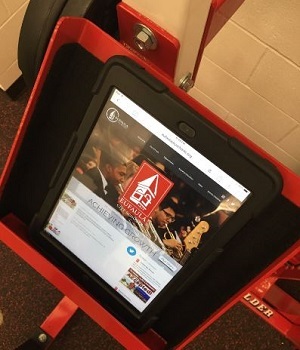 Since all the players have iPads, coaches can send them examples of proper workout videos, track their progress throughout high school, and monitor their training — all from their app. “The biggest thing is that all the coaches are using it. They rely on it and are confident because the wi-fi always works,” adds Watkins. Expect to see cameras on Eufaula sports fields this season, because the district is purchasing a Pixellot Camera System to live stream games from press boxes. “We wouldn’t be able to deploy cameras or other technology initiatives without our Extreme gear,” says Watkins. The cameras will be connected to the network and automatically power on minutes before the games, even utilizing algorithms to track play. The high school classrooms are using Extreme to support the robotics department and career and technical center. 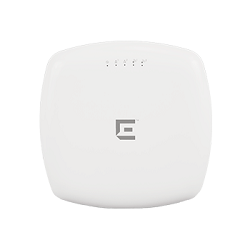 The reliable wireless connectivity Extreme provides has enhanced student learning and technology capabilities. “The number of network-related tickets I received in that part of the building from faculty has dropped to zero over the 6-months it’s been installed, and that’s coming from an area of the building that had the worst network connectivity and the highest number of tickets,” adds Watkins. Eufaula is growing the virtual reality program in the primary schools. “We’ve been using the Google Expeditions, so we can take virtual field trips, which save time and money. With the new network infrastructure, these devices will have no problem connecting to the network and staying connected,” adds Watkins. After the success at the athletic facility and high school classrooms, Eufaula didn’t want to wait another second when it came to upgrading the middle school. Prior to the Extreme Networks upgrade, teachers had no confidence in the network. Watkins says, “They wouldn’t even try to use technology in the classroom, because they were afraid it wouldn’t work and would deter learning.” The upgrade occurred last December with the installation of one access point per classroom. When the 45 teachers and 580 students returned in January, they were shocked. “I couldn’t believe the numbers we were seeing. We went from only 400 google documents on the network to over 200,000. As a result, print costs at the middle school went down 30% last semester. It’s all possible because of Extreme,” adds Watkins. With everything at the school working seamlessly, the teachers and students are empowered to use technology. Eufaula qualifies for E-rate funding, so the district has gone through most of the filing process and is awaiting final approval from the FCC. Watkins says, “As soon as I have approval, Synergetics, our Extreme Networks solution provider, will be my first call. We want the new infrastructure in here as soon as possible, so all of our students and faculty can experience reliable connections like the middle school.” Watkins anticipates FCC approval during the fall and then the Eufaula team, Synergetics, and Extreme will work to get this solution installed quickly and efficiently. Throughout large and ongoing upgrades like Eufaula’s, relationships are incredibly important. Watkins needs to trust the network partner and vendor, because if something goes wrong he needs to know they will be there to resolve issues quickly so the learning disruption is minimized. “We evaluated three other network vendors when we were looking for solutions, no one else was as close with their partner as Extreme and Synergetics. They came to the same meetings and worked together the whole time. Synergetics can call the Extreme team anytime to ask questions and solve issues quickly, that’s not something you get from other manufacturers. It really convinced me they had Eufaula’s best interest at heart and that was a huge selling point,” says Watkins.